Captain Smith joined White Star in 1880, gaining his first command in 1887. The ships he commanded were, The Majestic, The Baltic, The Adriatic, and The Olympic. Smith served with distinction in the Boer war by commanding troopships to the Cape. After he became commodore of the White Star fleet in 1904, it became routine for Smith to command the line’s newest ships on their maiden voyages. It was no surprise that Smith took Titanic in her maiden voyage in April 1912. This responsibility was rewarded with a salary of £1,250 per year and a no-collision bonus of $200. Very little is known about Smiths last hours on the Titanic. But it is said that his legendary skills of leadership failed him at time of crisis. There are many accounts of Smiths death. Some say he stood at the bridge as Titanic sunk, and there joined his ship in her watery grave. Others say he spent his final minutes loading children into the remaining lifeboats. And others still, say that he swam to a lifeboat, handed a baby to its occupants and swam back to join his ship. Either way, Smiths body was never recovered. He became an apprentice for Harlond & Wolff at the age of 16 and worked his way up through the company. Eventually he became managing director of Harland & Wolf, and was in charge of design. On Titanic’s maiden voyage, Andrews had spent most of the journey making notes and assisting the crew with minor difficulties as they got to know the new ship. During Titanics final hours Andrews wandered the decks encouraging passengers to wear their lifebelts and to make their way to the boats. He was last seen staring into space by the painting in the first class smoking room, his lifebelt discarded. 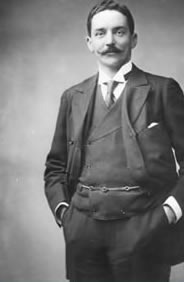 Thomas Ismay was the owner of White Star Line. When he died Bruce became head of the business. Ismay and Pirrie decided that high speed, while desirable, was not the essential element in capturing the vital immigrant trade which was their main source of income at that time. They would concentrate on creating the largest ships to maximize steerage capacity while while making them the most luxurious in first and second class accommodation in order to woo the wealthy and the prosperous middle class. Ismay accompanied his ships on their maiden voyages and the Titanic was no exception. Ismay was rescued from the Titanic in Collapsible C.
Murdoch’s original position on the Titanic was Chief officer. However, Captain Smith requested that Henry T. Wilde be transferred from the Olympic. Because of the transfer Murdoch was shuffled down to 1st officer. 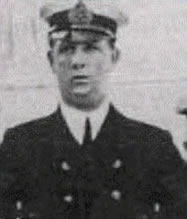 On the night of the sinking, Murdoch was the officer on watch. 6th officer Moody and 4th officer Boxhall were the junior officers on watch at the time. Murdoch took control and gave instructions after the iceberg was spotted “hard to starboard, engines full astern”. Despite his and the teams hard efforts the iceberg hit the Titanic. Murdoch reported the news to Smith, and told him he had closed the water tight doors. Murdoch began to prepare the life boats for launch. He filled them with women and children first, then men. Murdoch filled the life boats with as many people as he could. The cause of Murdoch’s death had not been determined due to the fact that his body was never recovered. There are some accounts that claim that he committed suicide by shooting himself after he inadvertently shot and killed a steerage passenger. Originally 1st officer, Lightoller was demoted to 2nd officer in Southampton due to the last minute appointment of Wilde and Murdoch. On the night Titanic foundered, Lightoller worked the 4-8 shift. At about 8.00pm he ordered the ship’s carpenter to check the fresh water and ensure it didn’t freeze. Lightoller came up on deck when he felt the vibration of the iceberg hit. He assisted Chief Officer Wilde with uncovering the lifeboats. Wilde wasn’t moving fast enough for Lightoller and he asked permission to swing out the boats. Wilde refused, so Lightoller asked Captain Smith, who granted permission. No men except seamen were allowed onto lifeboats filled by Lightoller, as a result most of his boats were lowered with less people on them than the other officers boats. Wilde ordered Lightoller into lifeboat #2. Lightoller refused and 4th officer Boxhall went instead. While Lightoller was trying to launch collapsible “B”, a giant wave swept him into the sea where he was sucked against a vent. An explosion blew him up again where he was just able to gasp for breath before being sucked down. When he came again to the surface, he managed to clasp onto a rope attached to collapsible “B”. After some failed attempts, he succeeded in pulling himself on top of the collapsible, which was floating upside down. Throughout the night many men would climb up onto the collapsible with him. Some died and were dropped off to make room for others. When World War one broke out in 1914, Lightoller, 1st officer on the Oceanic, became Lieutenant Lightoller Of His Majesty’s Navy. The Oceanic became H.M.S. Oceanic. By the end of WW1 Lightoller had been made full commander in the Navy. Pitman went to sea at age 17. He served for 3 years as an officer on a sailing ship before serving on steamships. He served for the ‘Blue Anchor’ Line for a year, 6 months with the ‘Shore’ Line, and had spent 5 years with White Star line before being transferred to Titanic as 3rd officer in March 1912. 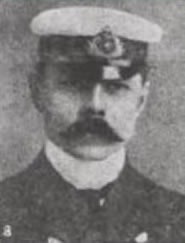 On the night Titanic was sinking, Pitman assisted 1st officer Murdoch with the lifeboats. If it wasn’t for Lightoller & Pitman to ask the captains permission to swing out the boats, the death toll of Titanic would have been even larger than it was. 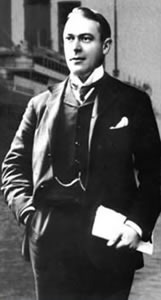 Pitman was the first officer to escape Titanic, in charge of lifeboat #5. Pitman remained at sea for 35 years, though he became a purser when his failing vision forced him off the bridge. In 1907 Boxhall passed his Masters certificate while serving on the Wilson Line out of Hull. He then joined the White Star Line. By the time he joined Titanic’s crew he had obtained his extra master’s certificate. On Titanic’s sailing day he was in the navigation bridge where he worked the telegraphs for the engine room and docking bridge. He telegraphed orders from the pilot, George Bowyer, as well as orders from Captain Smith. Once Titanic was on her way Boxhall settled into a routine for regular watches, navigation and assisting when needed. Boxhall survived the Titanic’s sinking and attained a command in the Royal Navy. Boxhall left the sea in 1940. In 1958, he served as technical advisor to the movie version of Walter Lord’s “A Night to Remember”. 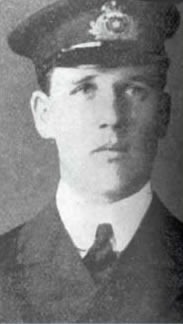 Boxhall died in 1967 and his ashes were scattered over the Atlantic ocean in the vicinity of the Titanic’s sinking in 1912. Lowe had been 14 years at sea, starting when he ran away from home at the age of 14. It was 1911 when Lowe joined the White Star Line. 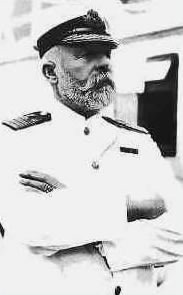 He served as third officer on the Tropic, and later, the Belgic before being transferred to Titanic where he would run the North Atlantic run for the first time. Lowe later stated that Ismay was there only to help as he was anxious to to get the people away. Lowe then went to lifeboat lifeboat 3, where he had great difficulty in finding enough people to put in the boat. When lifeboat 14 reached the water, Lowe had his crew row off about 150 yards from the Titanic. Lowe was placed in command of Lifeboat 14, containing more than 54 women and children. There he ‘herded together’ five boats and redistributed the passengers from his into the other boats, 12, 10, a collapsible and another boat (he could not recall it’s number.) After the cries from the people in the water had subsided a bit he deemed it safe to return to pick up survivors. He then asked for volunteers to go back with him to the wreckage and pick up survivors. He picked up 4 people, one of those died on the life boat. He kept on his search for survivors and did not see one female body. 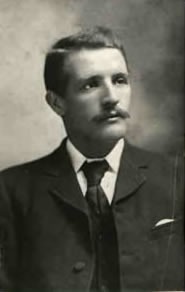 Moody passed his masters exam In April of 1911. Upon achieving his Master’s certificate he joined White Star aboard the Oceanic. 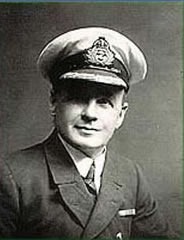 Moody was on duty with First Officer Murdoch in Titanic’s wheelhouse and it was he who received the report from Titanic’s lookouts of the iceberg ahead and relayed that information to First Officer Murdoch. Moody did not survive the Titanic’s sinking.